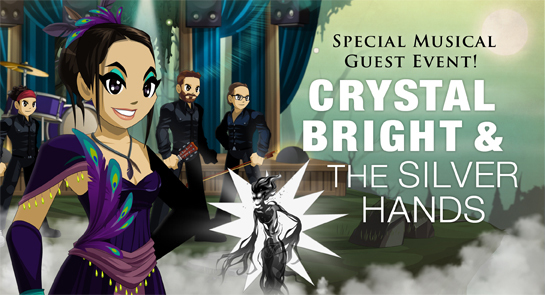 LIVE at Yulgar's Inn: Crystal Bright & the Silver Hands! A mysterious carnival is on its way to town, and with it, the famed Illusionist Musician, Crystal Bright! Together with her band, the Silver Hands, she is renowned for music that transports all who hear it into a world crafted from their own dreams! Join them in Yulgar's Inn or head over to the carnival to see what's going on! Also this week: The April Rares Shop has arrived! Check in to pick up the first set of gear available only for this month! 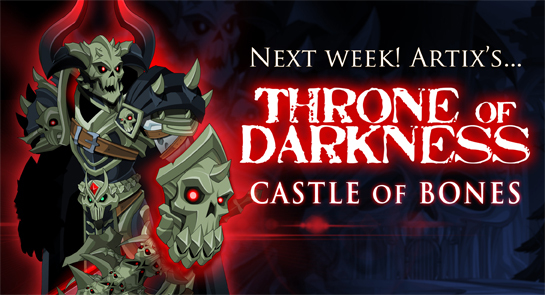 Coming Soon: The Bone Castle! Buy any AdventureCoin or Membership package of $10 USD or more to unlock your exclusive April upgrade bonus items! 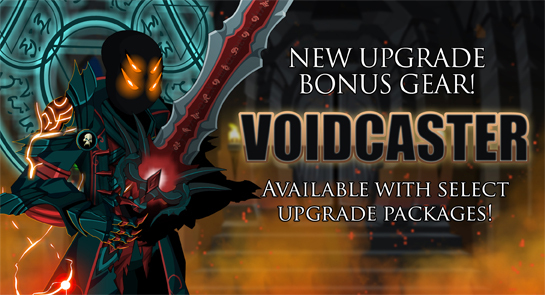 New this week: Stripeless Void Caster Armor available in the Tier 1 and 2 Shop! For more information: Check here! Quibble Coinbiter's shop leaves the game on 4.22.16. Get your items while you still can!